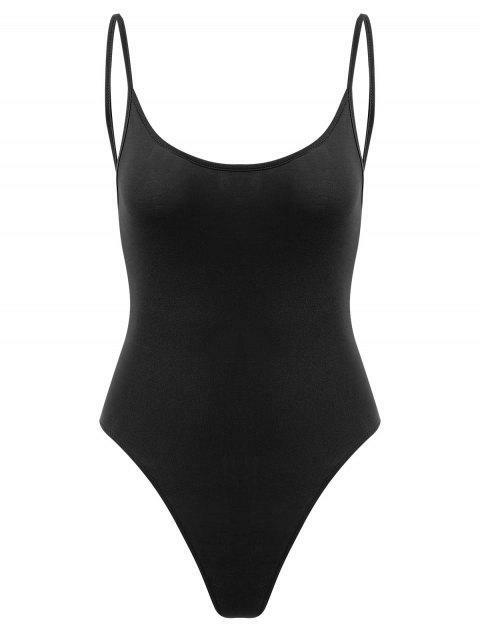 [23% OFF] 2019 Snap Button Open Back Bodysuit In BLACK | ZAFUL .. I was looking for a bodysuit like this for a long time! It\'s awesome super well fitting and great quality! I got a size small and it fit me perfectly. Also, very comfortable!! Ultra soft and stretchy bodysuit features in a thong bottom fit with an open back design and elastic spaghetti straps on the shoulder, which ends with a snap-button closure at the gusset. It can perfectly shape your body all day long with its stretchy fabric, just pair it with high waisted denims and some sheer cardigans for a breezy, beach summer look.